Pioneer and creator of Ethio Jazz, Mulatu Astatke left Ethiopia in the late 60s to study music at Berklee in Boston. He broadened his musical palette by picking up the technical aspects of jazz while being exposed to funk, soul and psychedelic rock. He began traveling to New York City where he met producer Gil Snapper. Snapper and Astatke hit it off and it led to a series of recordings for Snapper’s Worthy label including his first 2 LPs with his Quintet, Afro-Latin Soul Vol.1 & 2. 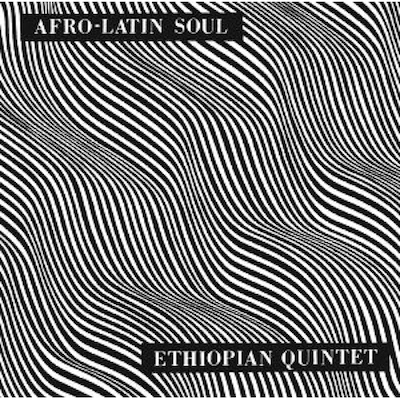 Astatke blended jazz, Ethiopian scales, latin rhythms and an otherworldly organ and vibraphone sound to create a style all his own. This was what is known as Ethio Jazz and it was Astatke’s vision and creativity that led him to beautifully blend African elements into the world of latin jazz. He worked with American and Puerto Rican musicians recording Afro Latin Soul Vol. 1 & 2 while touring in and around New York City in ‘66-’67. This was the beginning of Astatke’s most fertile period which he would go further into onMulatu of Ethiopia.